This one is a very simple & tasty Chicken-65 recipe indeed but the chicken pieces should be of same and medium sized.Marinate this for 30 mins atleast. Try this Chicken-65 at home and enjoy the dish. Take a bowl,add all except the last 3 ingredients.Mix this well and marinate for 30 mins atleast. 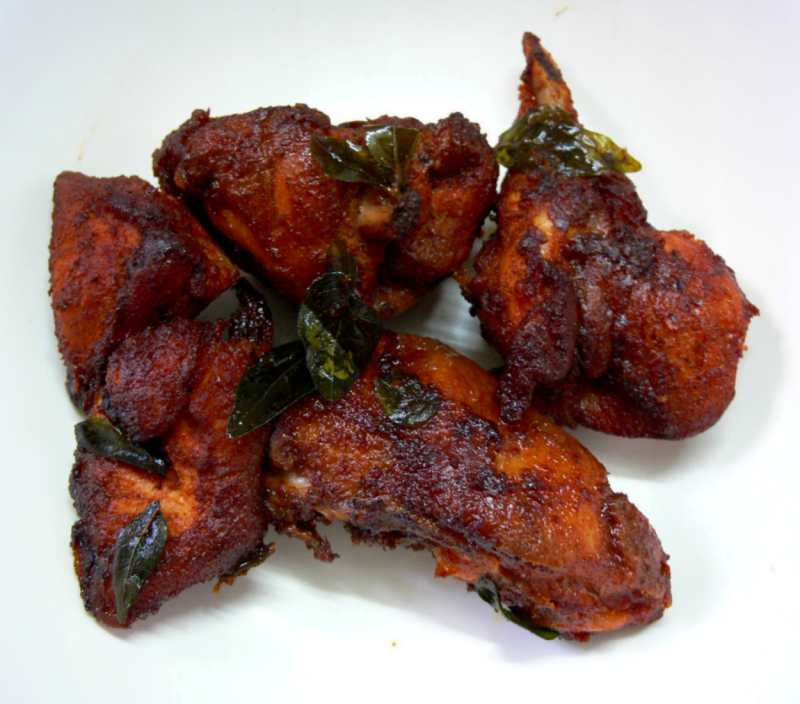 Heat oil in a kadai and deep-fry(or shallow-fry)the marinated chicken pieces till golden brown on bothsides. Serve this hot garnished with few fried onion rings,few lemon wedges and with Curd or Sambar Rice. Yummy Chicken 65 . Thank U .
Hi everyone,when u shallow or deepfry any non-veg items,just add 1 sprig of curry leaves to the oil before doing the fry.This gives nice taste and flavour to the dish and the left-over oil will also smell better. thanks for the tip christy.. gonna try this out today itself. Hi hfshama!,thanks for ur interest in this recipe.U can try this with adding 1 tsp corn flour with the mixed spices in step:1.Adding vinegar and corn flour make the chicken pieces tender and little crispy outside(without shrinking the size of the pieces).Happy Cooking!. halo christy....waiting to try this tasty recipe. One of my fav chicken. Thanks Christy.